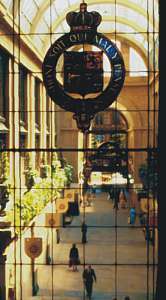 Nottingham remains proud of its rich history while, over the past 20 years, undergoing a transformation that has made it one of the most stylish and vibrant cities in the UK and one of the best for shopping. Day and night Nottingham buzzes with life thanks to the great choice of shops, bars and pubs, restaurants, theatres and galleries, fine hotels, international sporting events and its reputable universities. 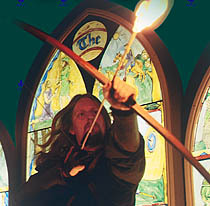 History is never far away however, with reminders of Nottingham’s legendary hero Robin Hood and his historic adversary the Sheriff of Nottingham. 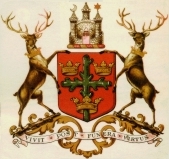 The Sheriff of Nottingham along with the Lord Mayor of Nottingham is elected annually from City Councillors and still has an important role in 21st century civic life, working alongside the Lord Mayor to represent the City. 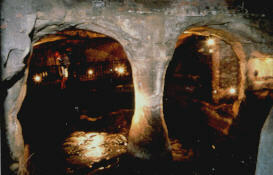 Among Nottingham’s important historical sites and features are its unique labyrinth of caves under the city, the splendid mansion that is now Nottingham Castle Museum and Art Gallery, with, close by, the spot where Charles I raised his standard to begin the English Civil War, and Wollaton Hall, one of the most ornate Tudor buildings in Britain, with its 500 acre deer park. They all have stories to tell about Nottingham’s colourful past and the City’s place in the history of this country. Newstead Abbey, best known as the former home of the poet Lord Byron, was originally an Augustinian priory founded by Henry II in about 1170. A small religious community existed there until Henry VIII dissolved the monastery in 1539. 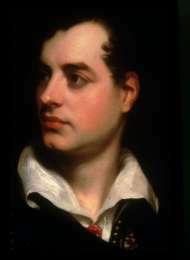 In the following year, Henry granted Newstead to the poet’s ancestor, Sir John Byron, who converted the priory into a house for his family. – Sir John Byron and his successors kept much of the monastic structure and layout so that, to this day, the house retains its medieval character. Newstead remained in Byron family ownership until the poet sold it to Thomas Wildman in 1818. – In 1861 William Frederick Webb, African explorer and friend of Dr David Livingstone, purchased the Abbey from Thomas Wildman’s widow. After Mr Webb died in 1899, the estate passed to each of his surviving children and finally to his grandson Charles Ian Fraser. Mr Fraser sold Newstead to the Nottinghamshire philanthropist Sir Julien Cahn, who presented it to Nottingham Corporation in 1931. 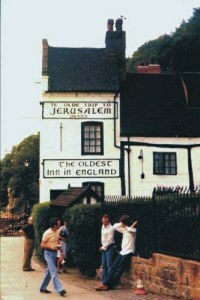 Travellers to the city of Nottingham will always, in time, find their way to the quaint old inn at the foot of the castle rock, for, as the sign says, it is “Well known throughout the World”. After their initial surprise, their first question is usually “How did it get such an unusual name?”. – The answer to that lies in the date painted on the walls, that of 1189 A.D., the year of the ascension to the throne of King Richard the First, known as the Lionheart. One of Richard’s first acts as the new King was to answer the call to crusade against the Saracens who occupied the Holy Land of Christian religion. Since the castle above the inn was a royal stronghold, favoured by the King, the knights and men at arms who answered his call came to the castle, and before their journey to the channel ports, they stopped off for welcome refreshments at the Inn. In the middle English of the times, a “Trip” was not a journey, but a resting place where such a journey may be broken for a time, so, consequently, the Inn was a resting place on the way to Jerusalem. 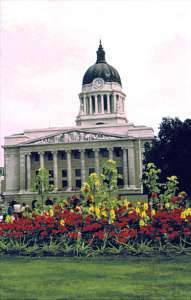 Nottingham is the undisputed capital of the East Midlands. It is the 9th largest travel-to-work area in England with a population of 740,000 and 3 million people within an hour’s drive. It is also the fastest growing major city in the UK in terms of job creation (RICS Foundation). Employment increased by 14 per cent between 1981 and 1996 and unemployment halved in the last five years of the Nineties. The historic Lace Market area, which developed when large lace and textile factories and warehouses opened up there in the 18th century, has been renovated into an elegant cultural, educational and residential quarter with companies, students and home owners now working and living in buildings designed and built by Victorian lace barons. There are some spectacular new buildings to complement Nottingham’s historic quarters. One of the largest is the National Ice Centre and Nottingham Arena providing the most modern ice-sports facility in the country and a large-scale conference venue.